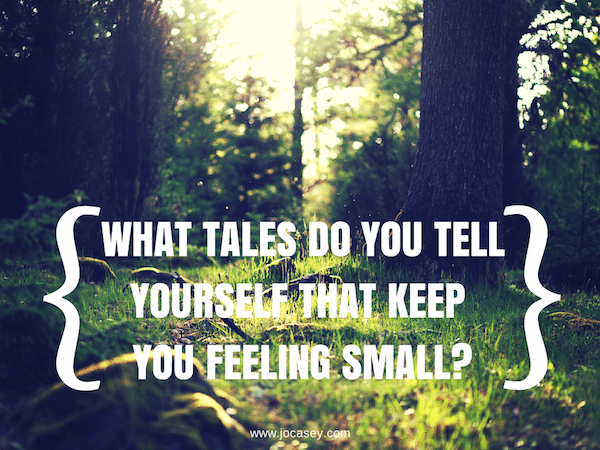 What Tales Do You Tell Yourself That Keep You Feeling Small? Fear is a chemical reaction in our brain. Our reptilian selves responding to a stimulus (real or more often, imagined.) It FEELS real. But that’s all it is – a feeling. We can choose to believe it. Or let it be. Fear is hyped up and sustained by the stories we tell ourselves. Like Grimm’s fairy tales of our own making. If I’m afraid of this is must be a sign I’m not ready. What tales do you tell yourself about the things that scare you? What do you have to believe to keep feeling small? What new beliefs will you need to have to fully embrace your boldness? Tweet This! That I’m a worthy, skilled and a beautifully flawed human being, allowed to make mistakes. I can be successful and still be a nice person. Me making money in my business is a good thing because I’ll have more freedom and can do better work.  Remember – there’s power in declaration. Leave your own desired new beliefs in the comments section below.